Significant recent press has spoken to the issue of variations in costs. On the one hand, health care costs vary significantly from geographic region to region and from hospital to hospital. Some would use this information to indict the system as lacking in control or possibly gouging where the market will bear higher prices. Just last week, the Colorado Division of Insurance released its findings of wide variations in health premiums to be sold through the Exchange. Those on the Exchange Pom-Pom team cited this as evidence of competition and choice for consumers. What do we really make of a situation whereby health care providers exhibit high variations in costs which we proclaim as bad but we heap praise on the financial intermediaries who arbitrage those same services and add their own measure of profit. I maintain there is both a devil dressed as an angel in drag here. You have to drill down and look at the detailed picture. When analyzing and making decisions, most of us calculate average costs to have a working number. To be precise, a health policy professional (like the person who regularly follows The Thought Czar) will not merely use crude averages, but will display the underlying data as a bell-shaped curve, aka, a frequency distribution curve. Without jumping into the briar patch, let me point out that a knowledge of the shape and distribution of the underlying data is important before we reach any conclusions. Variations in outcomes, of which “cost” is paramount, are an outgrowth of both natural and human managed systems. This phenomena in health care has been well known ever since Jack Wennberg and Phil Caper created the Dartmouth Health Atlas back in the 1980s. I look at it differently. If you take the distribution of prices(variations) in the health care market you can only make rational decisions if you know quality. Think for a moment, the difference in prices listed on Craigslist for two similarly looking autos can only be used as a basis for purchase if you know that one is a Mercedes and the other a Kia. By what means could we sort through the complexity of costs and quality differences? Below is a frequency distribution curve embedded in a classic 2×2 matrix. In the upper right-hand quadrant, there are high quality/high price providers(insurers) and in the lower, left-hand quadrant are low cost/low quality providers(insurers). You might have to meditate on the graphic to understand it fully, but it is one way to frame out the problem and solution to the cost/quality conundrum. In viewing data in this way, we also can reach an even more profound set of conclusions. Let’s suppose you are the federal government or a big insurance company. You use your bargaining clout to come in and impose a fee schedule on providers. If you are the 800lb gorilla, like Medicare you will demand prices far below average so that you can prove to the electorate that you are their loyal agent in getting them a good deal. And, if you are the big-dog-on-the-porch insurance company (essentially one of the seven largest who are oligarchs) you will attempt to peg your fee schedules to a shadow of Medicare. Now, you might promise the provider more patients, but there are few incentives other than copay or deductible differentials to allow you to make that happen. And, you will likely have promised the employer or individual lower premiums. The reality, though is that the Division of Insurance data for the past five years has shown “exclusive-provider- networks” are more expensive than “open-networks”. For the time being, go back to the frequency distribution(variations) curve and climb it like a mountain. 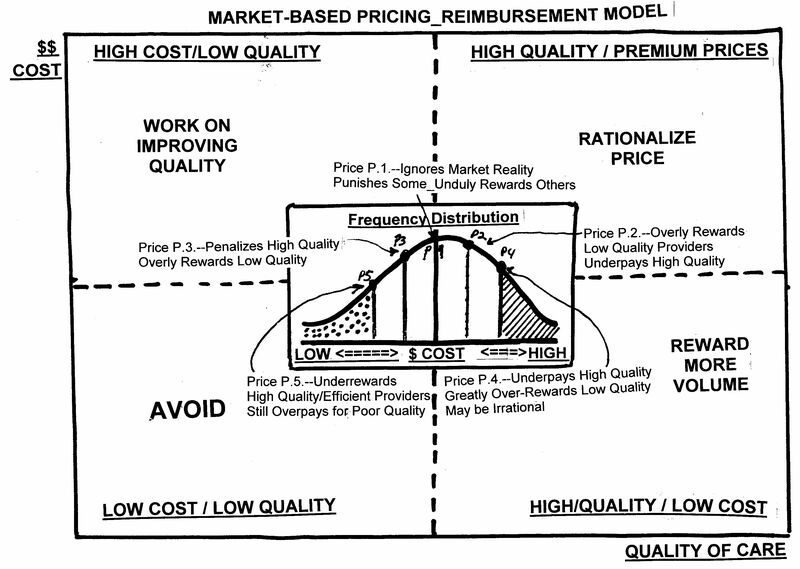 At price P.5., which is in the low cost/low quality quadrant, paying the average price would still overpay the quite a few providers because they are vending poor quality. But, paying the higher “average” price also conspires to penalize high quality providers and it may not pay their costs. So, quality is driven from the market(Law of Lemons), leaving low quality providers willing to accept low prices. 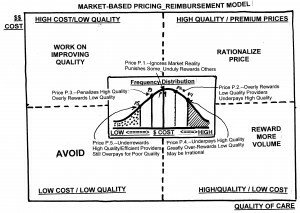 Similarly, paying price P.4, which is an above average price may over-reward low quality providers and still bears the risk of underpaying the highest quality provider. If your eyes have glazed over by now and I am at risk of losing you, step back from the graphic. What does all this boil down to? All systems exhibit variations and there can be both innocent or diabolical reasons for this occurring. Paying a simple average price rarely takes into account the quality differences. It risks making an irrational decision. Merely thinking you are getting a good deal because you are paying less than average risks penalizing providers who should be rewarded. It almost always overpays the scoundrels. Over time, negotiated fee schedules distort the market. They drive out high quality because they punish efficient provider. Individuals with high standards leave the market and it must subsist on expensive lemons. Financial intermediaries arbitrage by exploiting differences and normally play a parasitic role. Prior to the Omnibus Reconciliation Act of 1983, most health care was paid based on costs. It was required to get providers to accept Medicare. In hindsight it was a recipe for hyper-inflation. But, attempting to chill inflation by implementing fixed-fee schedules under prospective payment lead to an even worse cascade of unintended consequences. The cumulative effect of fifty years of ill-conceived public policy initiatives, when taken as a whole, has rendered the health care market a brownfield. In the end, the self-pay patient has been left abandoned and in need of rescue, like a wounded soldier on the battlefield. That class of patients has had no negotiating leverage and has had to play the game in a foggy market where prices and quality are impossible to determine. As a result, the self pay patient, who we normally rely on to eliminate dead weight loss, has ended up paying rack room rates while government and corporate payors extracted up to 70% discounts from the system. Now that we wish to increase access to the 50 million people without insurance, we find ourselves painted into a corner. The system has become so inflated that our last ditch effort is to force young and healthy patients into a risk pool and use their lower costs to subsidize older, sicker patients. Like bubble gum, it will soon lose its taste. It is unsustainable and will eventually cease to function whether policy makers do anything about it or not. Your precious independence! Your white plume! Crawl up where I cannot stand-alone? With the vile hope of teasing out a smile on some cold face? Wear out my belly groveling in the dust? While my right, too proud to know my partner’s business, takes in the fee? Shall I use the “fire” God gave me to burn incense all day long? Struggle to insinuate my name into the columns of the gazette? Love more to make a visit than a poem? No, I Thank You, and again, I Thank You, No! But, to sing! To laugh! To dream! To cut my heft where I choose! Not a word, a “Yes” or a “No”! But never to make a line, I have never heard in my own heart. My soul, be satisfied with flowers, with weeds! With thorns even! In a word, “I’m Too Proud To Be a Parasite”! I stand not high, but alone! Why go about making enemies? Shortly after I was born at St. Vincent’s Hospital in Billings, Montana, the doctor who delivered me approached my father to schedule the circumcision. This created, I believe, the first cross-cultural crisis in Montana since the Battle of the Little Bighorn when Custer made his last stand against the Sioux and Cheyenne. My father was Catholic, a WWII veteran and working class. Most of the landowning aristocracy of Montana were protestant. It was a divide that resulted in Montana having two hospitals in each major city. In Butte, the home of Anaconda Copper, the miners went to the catholic hospital. In Missoula, the loggers did likewise and it was a pervasive pattern that I did not acknowledge until I was older. In looking back at it, I now understand why my sisters and I had to go out to the oil refinery and get our polio vaccinations. The “Protestant” hospital did not provide them to people who lived on “the Bench”. A triangle between this unspoken conflict was the Jewish doctors. They were a small group, not even large enough to have a synagogue and they observed in a private home. But, when they practiced medicine, their cultural beliefs emerged and both Protestant and Catholic had to figure out what to make of it all. I won’t tell you the outcome of this particular argument. When I came to Denver in 1972, there were multiple hospitals that today have Exempla, Health One and Centura logos. Back then there was a Swedish, Lutheran, Jewish(Rose), Veterans, University, Denver General(the poor), St. Anthony and St. Joseph, and Presbyterian. The entire system was a mosaic where the pieces of the market grinded as they collided. There was a multi-faith task force to reduce tensions. Even as late as three years ago, a firestorm erupted when the Sisters of Charity of Leavenworth offered to buy Lutheran Medical Center with the stipulation that abortions and birth control follow the guidelines of the Catholic Church. Just a year ago, litigation was initiated by Hobby Lobby and the Catholic Church went ballistic when Obamacare tried to ensure employees would have equal access to birth control and new drugs like the morning after pill. The United States is well on its way to becoming a pluralistic culture. There have already been killings of children by parents who object to their children adopting Western secular culture. Throughout the World there are practices such as genital mutilation and there are wide variations in attitudes towards abortion, birth control and other practices. These differences are not so great and the population of Muslims large enough to build an Islamic Hospital, but I fully expect it will happen. When Jewish doctors in Denver faced obstacles getting admitted to Christian hospitals, they pooled their resources and built Rose Medical Center. When I consulted with them as late as the 1980s many of their original board members were still writing checks to keep the place afloat. The differences between cultures can be a difficult chasm to cross. When a Christian Science parent seeks to prevent a child from being provided care it often ends up in the Courts. And, make no mistake about it, abortion is an issue so great it divides us politically and occasionally results in violence. Will the day come when Islamic beliefs, Asian treatment protocols, and a whole host of differences shatter our systems. Government and corporations typically scale up their size and introduce uniformity of practice to achieve efficiency. They are not a good job shop. And, when it comes to spending money there is an insistence that everyone be treated equally under the law. That leads to systems of control that prevent, detect and correct deviations from the norm. The desire to achieve unlimited and consistent access as a universal right is only one step away from mandatory participation and universal treatment. If government funds circumcisions, isn’t it a small step to impose circumcision on every young man. Can a parent resort to Catholic doctrine or personal preference? Religious doctrine often fails to speak crisply on certain matters and it becomes a matter of folklore and common belief. Most societal systems cringe at the thought of individual determinations on such matters. Will we eventually have health care Courts to make such determinations. What is the cost to society of lawyers and experts facing off against each other to determine whether little Fran should be circumcised to ensure his personal hygiene. The next step is to provide vaccinations and then engage in existential arguments about whether the side effects lead to autism or other disorders. We threw Jack Kervorkian in jail because he was helping people off themselves. And, yet, in spite of federal laws against it, Colorado and Washington legalized marijuana and created a new tourism industry. What would the local papers have to write about if weed had not been legalized? After all, you can only talk about gun control and civil unions so long. All of this leads to the conclusion that institutions cannot make these determinations. They necessitate the individual, the family, the clan and the tribe hammer out a consensus opinion that is respected by the rest of society. If these smaller units are not to be subject to the tyranny of the majority, decisions must be based on a spiritual, ethical, moral set of values and beliefs centered in the individual. That level of respect, given our most recent history of genocide against Indians, enslavement of Blacks, and poor treatment of 1st generation immigrants seems difficult to achieve. Why? The reason lies in our intense desire to protect individuals from the consequences of personal decision making. If someone refuses health care altogether and pockets the savings we are outraged. And if a child isn’t vaccinated or a mother wants to use a midwife, we are uncomfortable. Our sociology and politics tends to break down rapidly when personal liberty and psychology seek to trump the wisdom of the crowd and the herd. Enforcement of prohibition has proven to be very difficult. 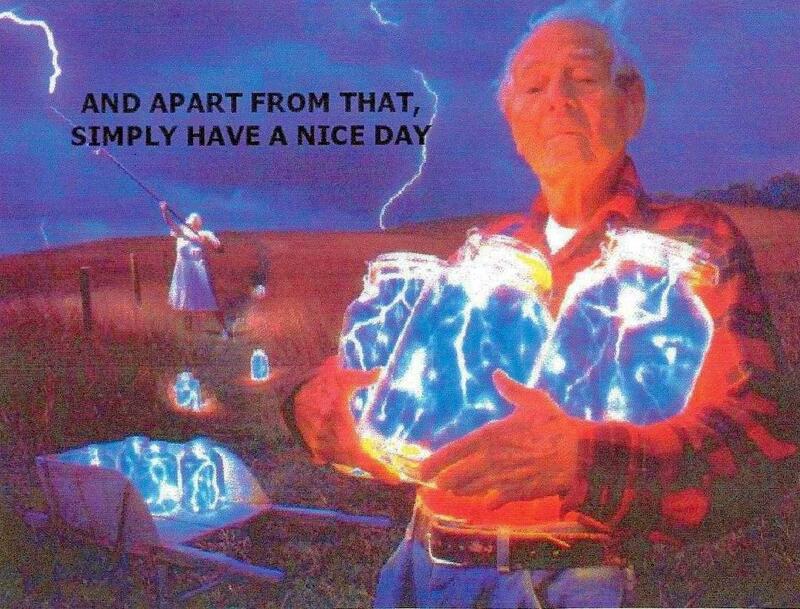 Thunder is good; lightning does the work! Author Francis M. MillerPosted on June 6, 2013 June 6, 2013 Categories UncategorizedLeave a comment on Thunder is good; lightning does the work! The launching of the exchange in October is taking on the appearance of a Kentucky Derby horse race at a track. 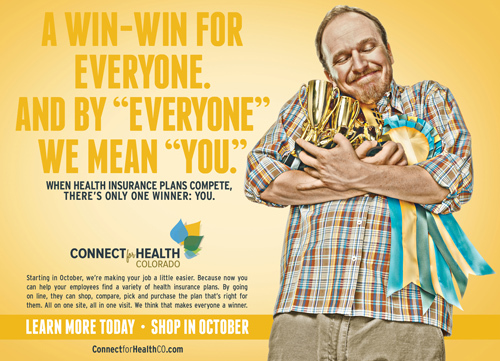 The insurance companies are in the gates and the uninsured, if you believe “Connect for Colorado adds, are drinking mint juleps and wearing big hats. I view all of this with a jaundiced eye. There is no doubt that health care has been on a slippery slope for years and the rocks at the bottom spell market failure. We have no other choice than to attribute the source of this failure to the “players” in the market. We place blame on ill-conceived public policy, greed of financial intermediaries, mismanagement amongst health providers or passivity and the irresponsibility of consumers. It is a multi-factorial equation and there is plenty of blame to spread around. Perpetrators shape-shift and morph into victims as providers decry fee schedule decreases, consumers and small businesses drop insurance as premiums arise and insurers lament government regulation and interference. My take on all this has become philosophical. When markets descend into failure, regardless of who caused it all, the voters will wrestle the market away from corporate control and turn to their elected representatives to serve as their loyal agents. In some cases it works and in other cases, the grand experiment fails. The Soviet Union was filled to the gills with collectivist cooperatives and they failed. Now the Russian economy is controlled by elitist oligarchs and the shelves are bare of bread. Margaret Thatcher became the devil incarnate when she tried to rebalance socialism in Great Britain and return certain industries to the free market. But, whether you favor capitalism or socialism, the plain and simple fact is that when it comes to health care, the hybrid system in the United States is an abject failure when we look at costs and outcomes. Contrast all of this with free and competitive markets such as phones, communications and computers. Beginning in the 1970s with antitrust legislation against IBM and then in 1996 with the deregulation of telecom, government actions did stimulate competition to the benefit of the consumer. There is little doubt that the disciplining forces of competition were the prescription to bring us cheap cell phones with unlimited service and cheap personal computers. It has been a virtuous, continuously improving cycle. Along the way it also dealt severe blows to MaBell, AT&T and IBM. Neither are the companies they were before all this took place. So, we have proven that it can be done. But, we also know that it is very difficult to effect global changes once a market passes from the freedoms of capitalism over to the politicians and the bureaucrats within the governmental sector. In the final analysis, Obamacare is a power battle royal between the private sector and the public sector for control of the hearts and minds of the consumer and the monies that flow through the system. With health care reaching 18% of our GDP it is the greatest of epic battles. Warfare always results in the introduction and advancement of new combat devices. Airplanes, tanks, big bombs and drones all came out of our conflicts with other nations. So it is with Obamacare: Exchanges, Cooperatives, and Accountable Care Organizations are being introduced as weapons of war. Let’s take the Exchanges as an example. Not all states have embraced Exchanges which are inextricably tied to expansion of Medicaid and mandates and penalties for the uninsured. What is the specific market problem this new organization is supposed to solve? 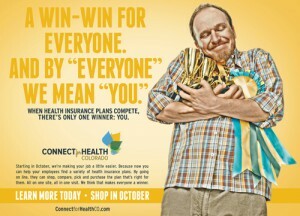 If you listen to their ads it is getting insurance companies to compete for your business? And, how will they do that? Currently, insurance company profits average less than 2% of premiums, comparable to big box retailing, obviously a competitive arena. The companies who are offering products on the Exchange are, by and large, the largest carriers who currently dominate 80% of the market. They are the oligarchs. They compete using many marketing channels such as call centers, the internet, advertising and brokers. These are all capabilities that small, upstarts (think Microsoft and Apple back in 1976) lack. In reality the appearance of competition between oligarchs is illusion and like gasoline at the corner station, will increase in stair-step fashion over time. The oligarchs will carve up the market and government be co-opted along the way. If we want to flatten the cost curve in health care, maybe we should shift our focus to hospitals and doctors. All of us know that their prices are outrageous and ever rising. But, when you inspect financial statements and cost reports of health providers you reach the same conclusion you reached when you looked at insurance company profitability. First, there is virtually no history of competitive shakeout amongst inefficient providers. 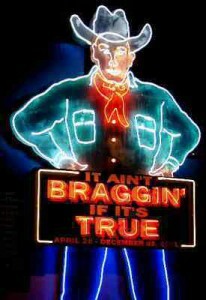 Quality amongst providers is assumed without proof of such. Profits of hospitals are what you would expect of a non-profit and in the 3% to 5% range. That level is barely sufficient to replace plant and equipment over time. Sure, you could single out anesthesiologists or other specialists but even cutting their outrageous salaries 50% would have virtually no impact on health system costs. Ditto for high cost patients. The million dollar premie baby or liver transplant makes for good press but it is not a really a driver of total system costs. Studies have consistently shown that the prime driver of health care costs in American health care is the excessive intensity of services. If you are in Japan you can lounge around the hospital for a month and its like hanging out at the Super 8. Some countries actually provide more tests and even house calls without it raising the total cost of the system. The American health care system is besieged with high administrative costs, high salaries, and a host of costs that could be wrung out under ideal circumstances. Economists call this “dead-weight-loss”. It comes from consumers being willing to exploit the system because their insurance pays the bill and their employer pays the premiums. If you get inside the mind of every hospital or insurance worker in this country you will discover a deeply ingrained belief system. They believe they are doing the Lord’s work. They believe they work hard and have invested mightily in their education and experience. They believe that if there was a better way they would be doing it. And, they believe they are essential to keeping people healthy. Health care is a system in crisis. It is a bubble-building. We all know it is an unsustainable system that is destined to change, whether policy makers take an enlightened approach or not. The Exchange(Connect for Colorado) is like the military launching a new aircraft carrier at a point when what we need are more Navy Seals. As a whole, the Exchanges will spend billions but only affect the system at the margins. They will largely be focused on increasing enrollment into Medicaid and policing the uninsured. They will defend their existence by proclaiming health care costs would be even higher if the Exchanges had not been put in place. I no longer believe the solution to the problems that beset health care will come from either corporations or government. They are rearranging the deck chairs on the Titanic. No, real change must come from the grass roots, the true source of all causative action in the first instance. Somehow, someway, you and I will find a way to abandon the old health care system. Like an abandoned and useless office building we will eventually go back and have a demolition squad place charges and implode it. Once we realize we are now in the 21st century we will seek a different path–a different way. Nonviolent revolutions actually play out over decades. Corporate executives and elected officials have life cycles of just a few years. So, there is a discontinuity in all this. We must be patient and allow time to work. If you are a woman attempting to break through the glass ceiling or someone who grew up in circumstances that have required you to struggle in life, you will be inspired by the life of Dr. Joyce J. Neville, who passed away recently. She was a friend and professional colleague who I admired greatly. 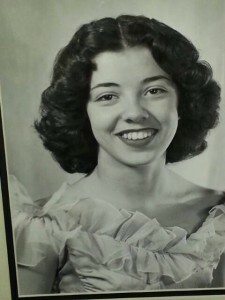 Born September 9, 1929 in the west Texas ranch town of Alpine, Joyce was the eldest of two daughters. Both parents and sister, Sandra Kelley, preceded her in death. Joyce was raised in Alpine, Texas through high school. She then supported herself there through the beginning years of college, working at Tex-Harvey Oil. She was given the opportunity to relocate with the company to Colorado. With a 20 dollar bill that Joyce was given by her grandmother, she set out on her own to the foreign city of Denver. After many years of service and searching for a new challenge, she decided she wanted to be her own boss. Joyce founded her own accounting company, which she maintained throughout a multitude of business endeavors, the pursuit of higher education, and carried it through to the date of her passing. Joyce decided to pursue a degree in business and completed a Bachelor of Science, with honors, in 1967, University of Colorado, Boulder. She continued on and received a Master of Business Administration (emphasis in Accounting) in 1968. During these years of education she became an adult curriculum developer and seminar coordinator for the U.S. Department of Labor training programs. Possessing her M.B.A., Joyce readily passed the Certified Public Accountant examination was fully certified shortly after. Proudly, Joyce earned a Doctor of Business Administration, with an emphasis in Finance, Accounting, Management Science, from the University of Colorado, Boulder, in 1973. Throughout her educational career, she received numerous honors and fellowships. Joyce was a scholar but also became a lecturer and a professor in the areas of accounting, finance and administration during college and for many years following graduation at The University of Colorado, The University of Colorado Medical Center and Metropolitan State College. Joyce excelled in business and was appointed by the Governor as Commissioner, Colorado Hospital Commission, establishing regulation of hospitals and public utilities. She then became Vice President for Corporate Affairs, Mercy Medical Center in Denver, Colorado, responsible for financial management, legalities, governmental relations and corporate planning. Four years later, after much success, Joyce became the Manager of Department of Health and Hospitals, City and County of Denver, Colorado. This was a Mayoral appointed position (Federico Pena administration), making her responsible for the administration of City hospital, outpatient clinics, and public health department. This annual operating budget she was responsible for was $115 million and she oversaw 2,500 employees. Joyce continued to work in her own business as an accountant throughout these years, but wanted to do more. After many years of planning and development she, along with two partners, formed The Minesen Company, building a large hotel in Hawaii. When Joyce Neville left Denver Health she was at an age where most people simply retire. As I reflect back on the Colorado health care community in the 1980s and early 1990s, Dr. Joyce Neville and Sister Mary Andrew, CEO of Saint Joseph Hospital were the two women who broke through the glass ceiling. Back then hospital administration and medicine were largely a male field. In my opinion: to this day, no person, male or female, has come close to achieving what these two women achieved in health care administration in Colorado. I don’t think we will see the likes of either of them for a long time to come. I was blessed that both of them were clients of mine and became friends. You would have thought that with the death of her mother and sister, and having to do battle with the U.S. Army, Joyce Neville would have thrown in the towel. Far from it. Even a year ago she was writing a new book, “Tin Cups and China Saucers” in collaboration with old friends from Alpine. When they couldn’t find a publisher Joyce underwrote printing of the book. So, what can we learn from the life of such a woman? At the memorial service were none of the mayors, governors, senators or executives Dr. Neville had loyally served throughout her life. It’s typical for the breed. But, the hall was crowded with the normal people she touched as she walked through life. As I talked with those in attendance, there was universal agreement. She was one of the most intelligent people anyone of us had ever met; she had class and humor and grace. She didn’t harbor grievances. She defied organizational hierarchy to build relationships. She had compassion for other people’s difficulties in life as a result of what she had experienced herself. She was fearless and could not be put off by political power or money. She was both a warrior and queen. Dr. Joyce Neville was one of those rare people who come to walk the earth and touch our lives. You cannot say that who she was came about because of her PhD or some inheritance. No, it was because-of-who-she-was that she obtained the PhD. She was not defined by her career in health care; she created a new category. When Dr. Joyce J. Neville reached her peak, health care was desperately in need of professionally trained managers to help it cross the chasm from its early beginnings to the modern system that exists today. She was in the vanguard of a new breed of professional. But, she was not a narrow specialist or a generalist jack of all trades. She was a “GENERAL”, deeply schooled and hardened in multiple disciplines such as computers, finance, accounting, operations, administrations and public policy. This type of person is rare but always dominates when surrounded by mere specialists. There are not many great Sequoia trees left in the old growth forest. The loss of any one is irreplaceable. Dr. Joyce J. Neville was an impeccable professional and the best of friends. She was a Texan to the very end and her cousins have rightfully repatriated her to Alpine. While she was in Denver for 55 years—“She was in it, but never of it”. Health Exchanges: cathedrals or bazaars? Recently the Division of Insurance released the names of insurance plans submitted by carriers for approval when “Connect for Colorado” launches this Fall. All of this stimulates several thoughts. A first principle of economics is that suppliers and buyers interact freely in the market. Out of that chaos comes a price. In this instance, a regulatory body is specifying the product, approving it for sale, and quasi-regulating the price. It is attempting to influence demand and supply by a variety of tax subsidies and penalties. And, it is trying to maintain control by forcing both buyer and seller to use the Exchange. By my count, 14 insurance companies, many of them Board members of the Exchange, and heavily skewed toward HMO products are the main players. Early evaluations of Exchange offerings suggest most insurance companies are entering this market with great reservation. Not all states have viable exchanges and there are many unknowns. It has all the appearances of a government-wired proposal process. A characteristic of regulated markets is a shortage of supply. Pictures of communist countries always show bare shelves where canned goods and bread should sit. And, there is often a thriving black market in the shadows. Health care today is dominated by oligarchs who do business from their castles and cathedrals. And, the foundations and NGOs who act as enablers and facilitators inhabit pretty nice digs too. This is not Steve Jobs in a garage or Bill Gates operating out of a skunkworks. If the insurance industry wants to kill off the emergence of exchanges there are two ways they will do it. One is to sabotage their funding source. They will also hold off supplying viable products and only sell certain products through the Exchange. That makes the Exchange look more like a factory outlet store that offers slightly blemished goods. Every supplier has challenges when it comes to distribution channels. A decade ago, Apple was having trouble brining its products to market through big box retailers. Apple made two strategic moves. First it pioneered the “Apple-direct” stores. Second, it designed its products with specific price points to appeal to consumers in a retail setting. But, this came about not because of government inspiration(it was too busy initiating antitrust litigation against IBM and MicroSoft) but because deregulation and competition between cellphone carriers, retailers and over the internet converged to create a perfect storm beneficial to the market. Electronic devices come to us by way of a virtuous cycle of continually lower prices and better products and services. The whole notion of the Exchange may eventually be come to be regarded as a fool’s errand. We need a healthcare bazaar where there is intense competition, lower prices, innovative offerings and shakeout of marginal players. When ComputerLand, BusinessLand, CompUSA, Ultimate Electronics and a substantial number of Best Buy stores were forced to exit the market because of market competition, we know the disciplining forces of the competitive market were working. And, we will know it is working in health care when high cost hospitals start going broke, not getting propped up by government largesse. And, we will know it is working when the large seven insurance companies who dominate the Colorado insurance market suffer the same demise that IBM and the computer mainframe companies. None of them manufacture hardware; they were universally humbled by Bill Gates and Steve Jobs. Joseph Schumpeter called it creative destruction. I believe that the reason Exchanges are the center-piece of Obamacare stems from an appalling misunderstanding of basic economic principles by the people involved. Legislators bristle at the suggestion that they need formal training in economics. They believe that when markets fail, they have electorally been given a mandate to deal with health care access. When hyper-inflation and unintended consequences ensue they merely redouble their efforts and dig a deeper hole. If the dismal science guys couldn’t pull it off then let’s turn it over to the motivational speakers. It took the Soviet Union a long time to collapse, and it was not because of new-found enlightenment of its leadership. Their system became unsustainable and ceased to function. From the mid-1970s up until now we have been witnessing the disintegration of organizational hierarchy and a transition to a post-industrial paradigm. Many of us do not understand fully the implications. The true effects are being disguised by ill-advised policy actions. There is nothing worse for an expert fly fisherman who is plying the water to catch fish than to have a rank-amateur outfitted in Orvis gear come along and muddy the water. Whether the Exchange succeeds or fails is too early to determine. I am unwilling to take bets either way. Every year we watch professional teams go to training camp and try to guess whether they will be champions. It rarely works out. And, way too many parents watch their son or daughter play high school sports thinking they will win a scholarship. It rarely works out. Author Francis M. MillerPosted on May 31, 2013 May 31, 2013 Categories UncategorizedLeave a comment on Health Exchanges: cathedrals or bazaars? 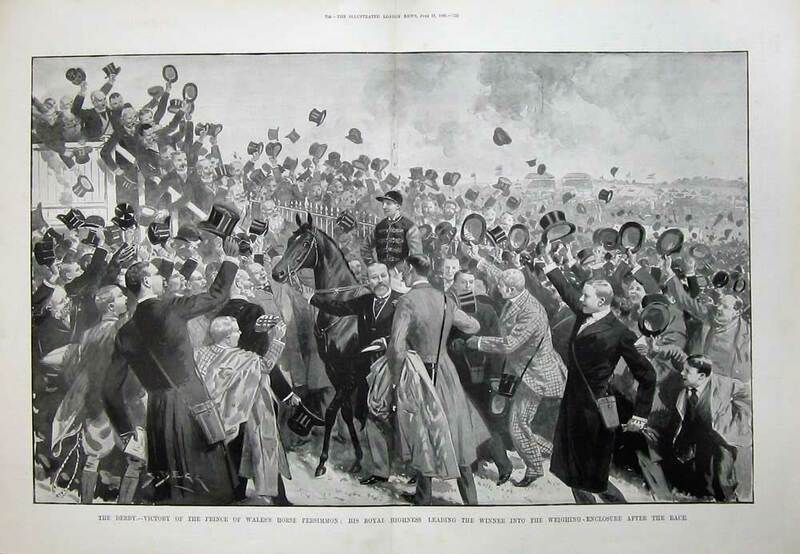 In 1878, John Wesley Powell held a meeting in Washington, D.C. that led to the creation of the Cosmos Club which led to the creation of the National Geographic Society. Powell, a Civil War veteran who had lost an arm at Shiloh and fought on through the siege of Vicksburg also led the 1869 expedition in the first descent of the Grand Canyon. John Wesley Powell would go on to direct both the U.S. Geological Society and the Bureau of Ethnography of the Smithsonian. But, it was an 1872 trip through the Great Basin that provides grist for the mill in this essay. Powell’s first encounters with Indians in the Great Basin, that vast arid area between the western slope of the Rocky Mountains and the Cascade Range of the West Coast generated a fascination that lasted a life-time. But, Powell’s vast collections of artifacts were kept in the basement of the Smithsonian long after his death in 1902 and not inventoried until the 1970s. It during this trip that Powell, for the first time could dialogue with the Numic peoples who consisted of the Paiute, Ute and Shoshone tribes. These Indians were still living a stone-age existence. An offshoot, the Eastern Shoshone had acquired the horse from the Spanish in the 16th century and had morphed into the Comanche tribe. But, the Numa were largely in their pre-European contact state. Powell learned two things that stunned him and occupied his thinking for the remainder of his life. First, the Numa had no concept of mental illness. Their medicine did not provide for it and Powell remarked that he never met an insane Indian. Contrast this with the immense number of mentally ill people left in the wake of the Civil War. That war had killed 600,000 men, handi-capped 2 to 3 million and left several generations to reconstruct their lives. Mental illness was rampant. Powell also discovered that post-menopausal women were rare. After their child bearing and raising years, they routinely grouped together, went into the desert and starved themselves to death. In Western European society, women who survived child-birth typically lived longer than men and went on to inherit most wealth. These two factoids are certainly not sufficient to overturn our beliefs regarding the efficacy of modern medicine. But, over the years I have experienced a string of encounters that, when taken as an integrated totality cause me to pause to think about whether we are on the right path. In 1969, I was taking a college course in sociology at Montana State University, Billings. My professor was a PhD from Columbia who had come out to Montana in the 1940s to interview Cheyenne, Crow and Sioux Indians who had been a part of Custer’s Last Stand. Dr. Daugherty remarked one day that he could never reconcile a couple of things. First, the Indians believed that life expectancy was going down as a result of modern life. There were numerous Indians who claimed to have been warriors at the battle, but their chronological age just didn’t make any sense. Daugherty could never reconcile Indian claims with his understanding of life expectancy. Then, in the 1980s, I had an encounter with a shaman Lakota Sioux by the name of Wallace Black Elk. Wallace was the grandson of the original Black Elk, the revered holy man of the Sioux. Wallace had come to Denver and taught at Denver Free University. In his lectures he routinely professed the belief that modern culture would be our demise, not our salvation. He reiterated the belief that life expectancies were actually declining. He also expressed the view that the White Man’s propensity to grow his food in intensive environments would lead to chronic wasting disease and was the cause of the rise of dementias, and other brain diseases. He also felt that blights and other diseases could be expected in our crops of grains and other carbohydrates. If you were stacking cards with this and many other comments in popular writing, it would be a house of cards for most people. Most science based professionals would go ballistic at any notion of such a thing. But, let’s shift over and consider the writings of medical and other professionals. In his book,The Role of Medicine: Dream, Mirage, or Nemesis? by Thomas McKeown (Feb 1980), McKeown a physician presents data that suggests much of the improvement in outcomes has actually come from public health improvements in water and sewer. He poses the possibility that modern medicine has plateaued in its ability to deliver on it’s promises. I do not seek to become Martin Luther here nailing 95 theses to the church door. I merely suggest we pause and consider as to whether we should be barreling down a path that could lead to accidental overthrow at some point? Almost every day our popular understanding of what is good for us is either overturned or challenged. Should we be taking aspirin? Does controlling cholesterol really reduce heart attacks? Does having insurance lead to better health outcomes? Are all of those coronary bypasses justified? Doesn’t the health care system kill hundreds of thousands of people every year? And, it goes on and on. We have to remember that prior to the 1970s health care had questionable legitimacy in the minds of most people and it consumed less than 4% of our gross national product. The advent of diagnostics such as the MRI and drugs such as the polio vaccine began a shift in thinking. In his 1984 book, The Social Transformation of American Medicine, Paul Starr chronicled the means by which the medical profession transformed its image from “barber surgeon” to respected professional. Health care will soon consume 20% of our gross national product in a country of under 400 million souls who comprise less than 10% of the World’s soon to be 8 billion people. We cannot spend such large sums for either health care, education or energy and expect the rest of the planet’s population to achieve parity. But, even the wealthiest country cannot promise entitlements to huge numbers of aged people when equal access implies hyper-inflation. It simply is not sustainable and it will stop, even if policy makers choose to do nothing. The overhead is too great and our average unit costs are too high to convert it to an export industry. We have two alternative pathes to take. One is to use the blunt force trauma of public policy to restructure the industry and wring out the dead weight loss that has arisen from insurance, tax preferences, and employer involvement. That will be exceedingly painful because the unaccounted for and unfunded liabilities are trillions of dollars. The other path is to begin to abandon the current system in favor of something different. I am not suggesting a return to a medicine man waving an eagle feather over me while I sweat. But, we can learn something from traditional societies. Both India and China have 35,000 to 50,000 herbal remedies derived largely from plants and natural substances. Our drug companies are dispossessing us and we know it. A return to health care delivered in the home, less intense environments, preventive care, food as medicine all have potential. But, so does advanced diagnostics. Genetics and personalized medicine delivered using our understanding of advanced chemistry, physics and biology have immense potential. When considered as a whole, we all realize we are on the wrong path and that a cross-roads awaits us. But, like the Mad Hatter who told Alice that if she didn’t know where she wanted to go, it would make any difference which route she took, we will have to look inside ourselves and take a personal inventory. There is a very good chance that the health care system of the future will require individuals to use an internal moral compass and a spiritual center that we long ago abandoned in favor of the institutional pill. Many will simply not make the transition. They will have their hand out and seek an entitlement that they think they previously paid for. But, if those old Indians are right and our life expectancy is not being increased, taking the drug of institutional ease means you are paying with your life.